Our Montana notary stamp uses the approved layout for the State of Montana. 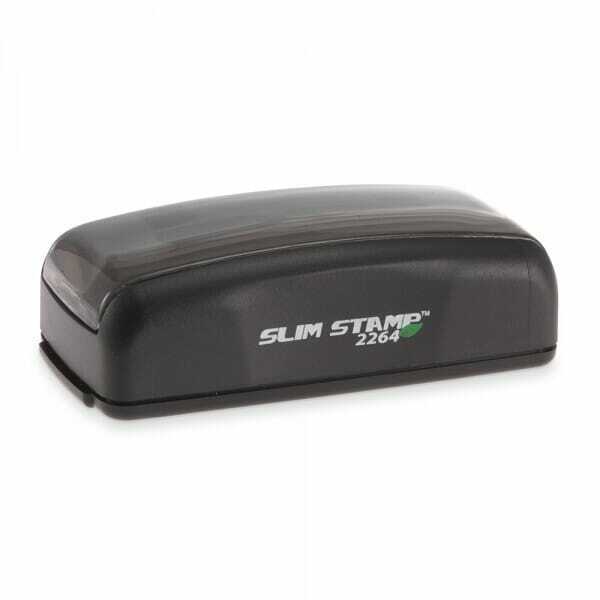 The Slim Stamp 2264 has a maximum text plate size of 1" x 2-5/8" allowing you to create up to 6 lines of customized text. This versatile stamp is perfect as a notary stamp. You can upload your customized notary stamp in our stamp wizard! Customer evaluation "Montana Notary Pre-Inked Pocket Stamp - 7/8 x 2-3/8"